Some people get twitter. Some people don’t. Whether you use it or not, with over 300 million active users and over 350,000 tweets per minute, it is a social media powerhouse. For anybody who isn’t familiar, twitter is a social network where users can share short (140 character maximum) thoughts called tweets. Users can follow and reply to other user’s tweets. The big problem that Twitter has is that it isn’t growing. Investors like growth. If there isn’t growth, the investors get unhappy and leave. This ultimately lowers the value of the company and then rumors start of the company’s demise. 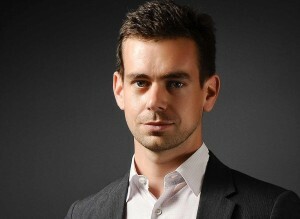 Last Summer, after many leadership changes over the past few years, one of the company’s founders, Jack Dorsey was brought back as CEO. Dorsey also is founder and CEO at Square (Square’s and Twitter’s Headquarters are conveniently located across the street from one another in San Francisco). Investors want Dorsey to make changes that will help the company grow. New features have been released and there have been rumors of eliminating the 140 character limit and/or creating an algorithmic news feed that curates what tweets you see rather than listing tweets in order. A type of algorithmic feed was released last week. Many current twitter users are against any changes. They don’t want Twitter to work more like Facebook or other social networks. Twitter is about right now. Many users like seeing the newest tweets on top. They don’t care if they missed something yesterday. This is Twitter’s strong point. Users can communicate about what is happening right now. Messing with the timeline feed or letting users create large posts like they can on other social networks might ruin Twitter. On the other hand, longer posts and an algorithmic news feed might lead to new users who currently do not like or understand how twitter works. Many people were opposed to Facebook’s new news feed when it was released, but users have learned to like it. Growth is good for investors but at what cost? Will it transform Twitter into something new and ruin it as it exists currently? These are some of the issues that Twitter faces. Twitter can be profitable just as it is with hundreds of millions of users. Attempting to make it grow Can a public company be satisfied with a popular property that doesn’t constantly grow? With its stock price down, Twitter is prime for a takeover. Companies like Google, Microsoft or even Facebook could benefit from the data that twitter provides without having to push so hard for growth. What will happen? I’m not sure. What are your thoughts? Are you a twitter user? Will raising the 140 character limit help or hurt? Will messing even more with the timeline help or hurt? Are We Witnessing the Birth of Google OS?